Hi friends. 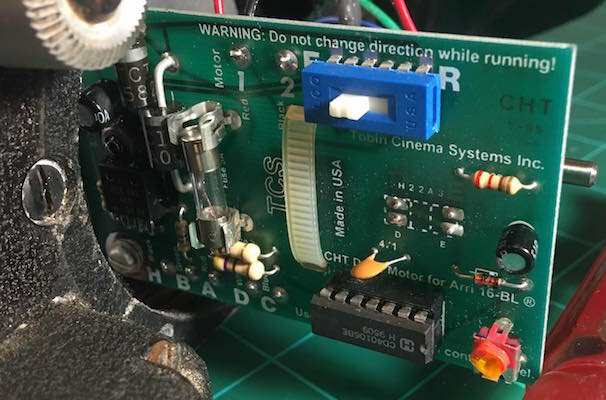 I have an Arriflex 16BL with tobin TXM-15 sync that I tried to use today. Its worked many a times before in the past. Today I hit the button to shoot; and nothing happens. What the hell? I take the mag off to see if it was jammed or something; and more smoke than cheech and Chongs car came wafting out of the gear area. Gosh darn it. I take the motor housing off and I see this- 5amp blown fuse. Okay but where was the smoke coming from?? My inching knob is broken as well. Any suggestions? I have all the pieces. The motor still turns by hand, have yet to get the replacement DC fuse. 1. The motor shows 9,5V motor. I have a 12v 7.5mah battery. Direct leads to a power cable, to Tobin system. Am I over-powering the camera with this battery? 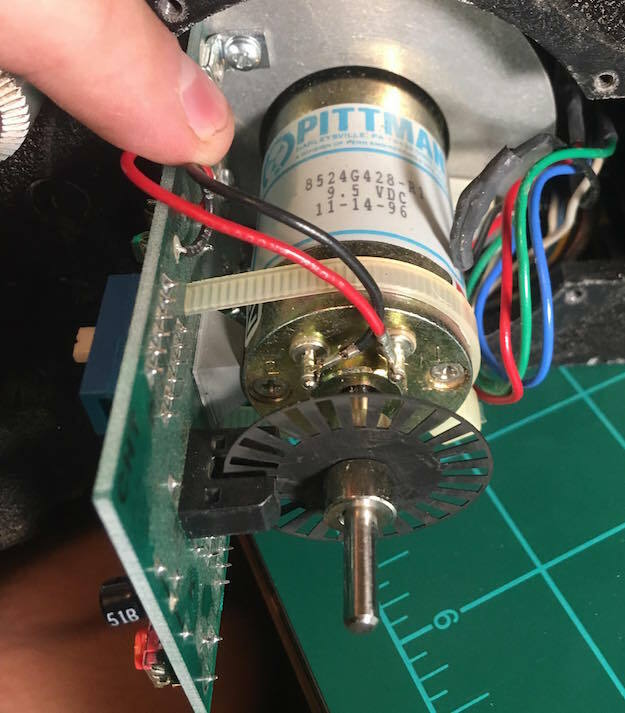 Or does the tobin system have some sort of conversion from 12v to 9.5v for the motor? 2. What do you think was the cause of the smoking? Upon inspection of what I could disassemble, I see no melted resistors or plastic or wires, etc. see pictures. 3. Suggestions on replacement of the inching knob? 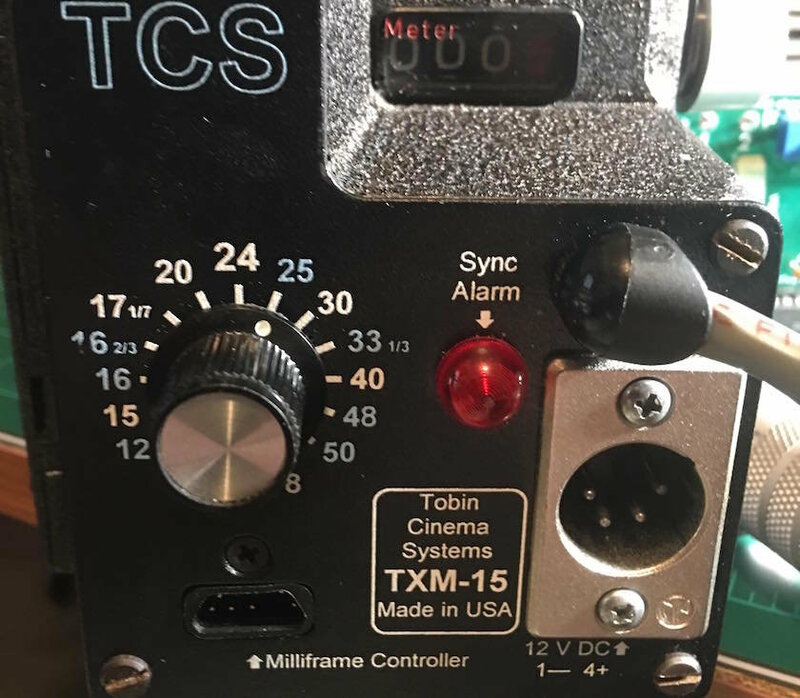 If the Tobin controller is a 12V system then a 12V input is fine. The smoke will most likely have been a component that melted, check all the ICs etc, something will be damaged. Might just be a black scorch mark on the outside is all you can see. Don't replace the fuse and run it again, you risk doing more damage. An electrical repair person needs to assess and repair it, unless you can do component level repairs yourself. It would be handy to have the circuit diagram from Tobin, but a good electronics tech could probably work it out and replace what's damaged. When I worked at a Major University, we had a BL develop an internal short and the wiring from the shutter release to the motor burned all the insulation off the wires. At these levels fuses don't have a voltage rating, just current. Get the one that fits- probably 20mm. Don't waste your money on a spare parts manual, as you can see from the few pages shown, it just has pictures of the many individual parts with no disassembly or service instructions. Arri didn't make service manuals for their cameras, or provide disassembly instructions. But you shouldn't need to dismantle it anyway. Once removed, there won't be much electronic stuff left in the camera, and what wiring there is should be mostly visible. It is not too difficult to unmount the camera, I've just opened a discussion where I'm completely refurbishing a 16bl. If you remove the cap and the motor (with 3 screws on the interior side of the camera) you have enough space to understand if some wires are burned. But if you want to do more, remove the blimp mount (8 screws), then unscrews the 4 shock mount and you will be free to remove the core part!